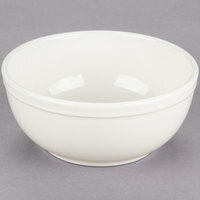 Serve classic soups or specialty pastas in this Choice16 oz. 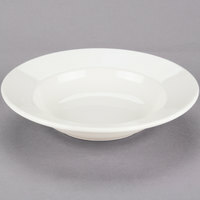 ivory (American white) wide rim rolled edge china pasta bowl! 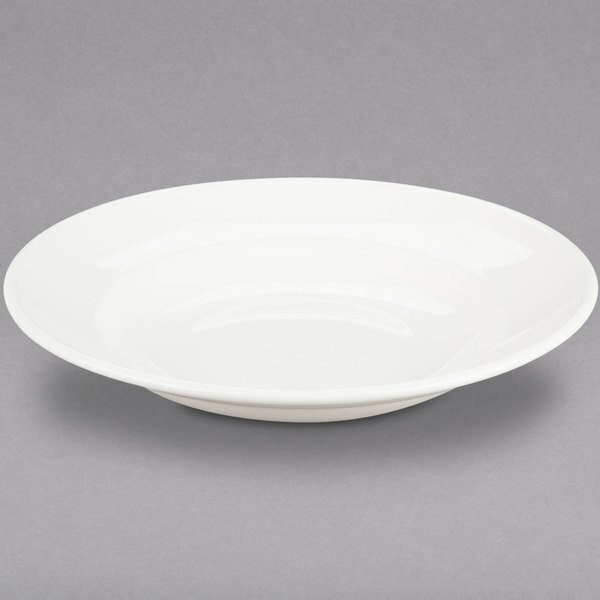 Perfect for large salads and various entrees, the wide rim, rolled edge china pasta bowl is great for restaurants, diners, and cafes. Sporting an elegant design, this pasta bowl is sure to accent any decadent soup you place before your patrons. 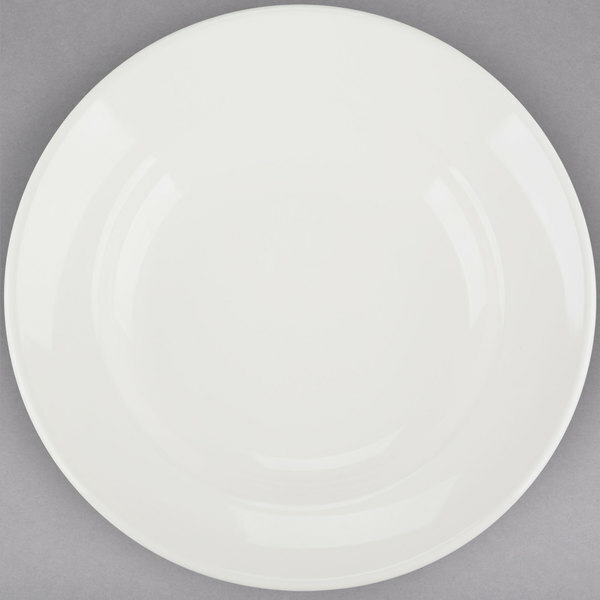 Plus, the ivory (American white) color complements any table setting or restaurant decor to accent your theme and make your food shine. "Good china. We use these to put pastas, soups, and some larger salads in. Much cheaper than at a local restaurant supply store. Good buy." 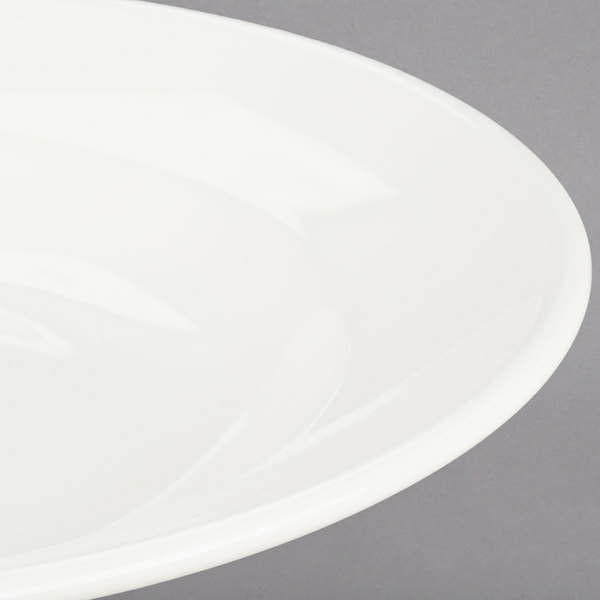 Boasting a wide rim, this pasta bowl elegantly frames your food to enhance the presentation while also helping to minimize any spillage that may occur during service. Thanks to the 16 oz. capacity, this bowl is the ideal for solution for pasta dishes and salad entrees since it can comfortably hold an ample amount of food without overflowing. 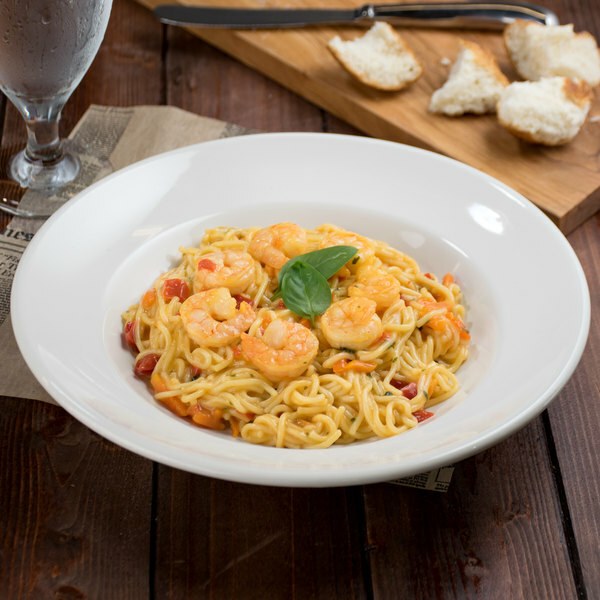 Made from durable china, this pasta bowl is capable of withstanding chipping and scratches to give you years of dependable service. Each pasta bowl can be stacked, allowing for optimal and efficient use of your storage space. Choice is a great brand of dinnerware. Love the bright white color and the heavy duty nature of this china. 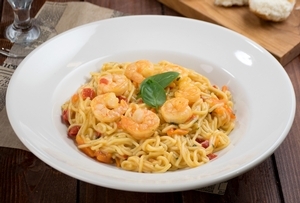 Great edges and deep design for easy serving of our pastas. Very nice look. I really like the american ivory. It has a great appearance. The bowl is a nice size. Perfect for pasta entries, risotto . These ivory pasta bowls are totally great. In full disclosure, I meant to order solid white but these have become a welcome edition to my collection because if their sleek look and deep size! This is a really good bowl for the price. We use it for pasta entrees and large dinner salads. 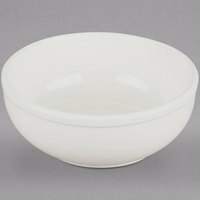 Solid, heavyweight bowl that costs considerably less than any pasta bowl we could find. Perfect for pasta, salads, and soups. 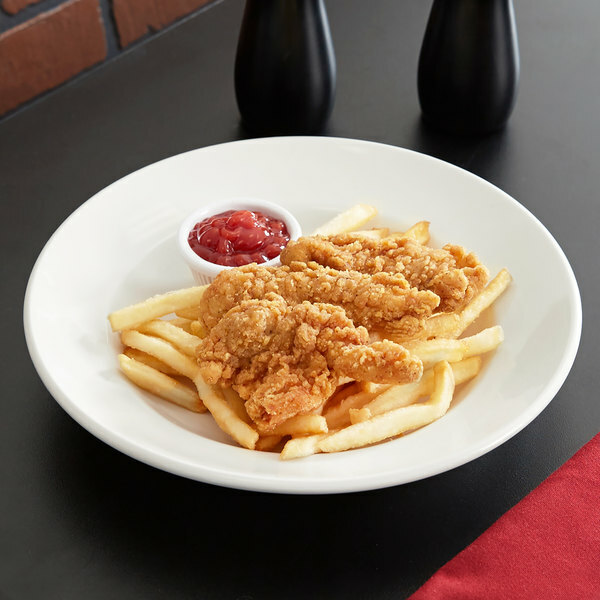 This dish my be the most used in our dish selections. Very classy look with a 10" to 12" plate. Cleans up great. Very happy with all Choice brand China. Definitely a great value and a great look. Durability after 6 months is in line with other less cost-effective brands, and the weight is perfect. These bowls work perfectly for our chef's salad, and look nice, too. Our customers are always happy with our line of dishes, and about all of them have come from Webstaurant! Good china. We use these to put pastas, soups, and some larger salads in. Much cheaper than at a local restaurant supply store. Good buy. 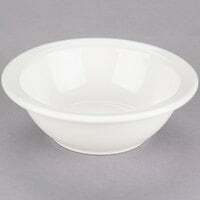 Perfectly sized bowl for salads, soups, cereal, pasta. 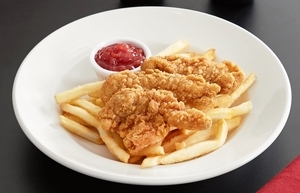 Diner-quality, inexpensive, sturdy, doesn't absorb all the heat (instead of the food) in the microwave. And when one of the twelve arrived broken, very easy to get a credit rather than having to hassle with a return.